Guest Bio: After graduating from Cornell University, Dr. Oh attended Georgetown Medical School, where he was elected to the Alpha Omega Alpha Medical Honor Society and awarded the Michael Caruso Humanitarian Award. He completed residency at the Hospital for Special Surgery and was awarded the Jean McDaniel Chief Resident Teaching and Leadership Award. Dr. Oh completed 3 fellowships. His first was in Orthopaedic Sports Medicine at Mass General where he developed proficiency in minimally-invasive shoulder and knee arthroscopy and obtained experience in the care of professional and elite athletes. The second fellowship was in Elbow and Shoulder Surgery at the Mayo Clinic, where he developed expertise in cutting-edge elbow arthroscopy and complex reconstructive surgery of the shoulder and elbow. The third was an apprenticeship with Dr. James Andrews where Dr. Oh learned the Andrews technique for Tommy John ligament reconstruction for pitchers. Dr. Oh specializes in state-of-the-art arthroscopic procedures of the shoulder, elbow and knee. He is a member of the medical staff for the New England Patriots, New England Revolution, Boston Red Sox, Lowell Spinners and an orthopaedic surgery consultant for the Boston Bruins and Harvard University. His current research interests include injuries to overhead throwing athletes, osteochondritis dissecans, and shoulder and elbow biomechanics. Segment Overview: Dr. Luke S. Oh, a sports medicine orthopedic surgeon and team orthopaedist of the New England Patriots & New England Revolution, discusses his recent presentation at the American Academy of Orthopaedic Surgeons Meeting (March 2018) on “Poor Interobserver Agreement in Staging and Managing Osteochondritis Dissecans of the Capitellum using Magnetic Resonance Imaging”. Neal Howard: Welcome to Health Professional Radio. Thank you so much for listening today. I’m your host, Neal Howard. 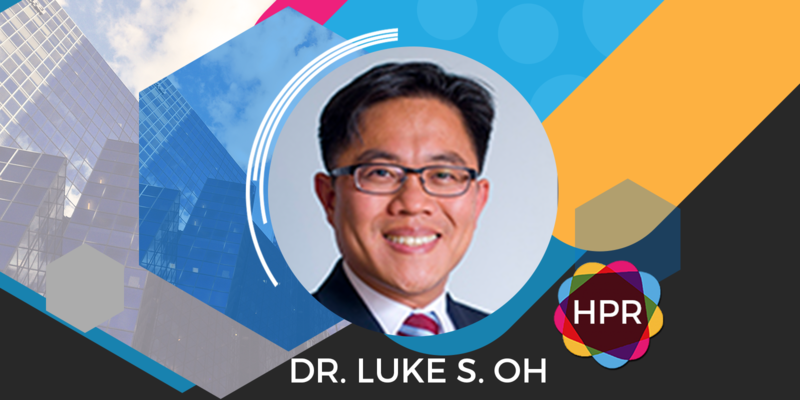 Our guest today is Dr. Luke Oh. He’s a sports medicine orthopedic surgeon and team orthopedist of the New England Patriots and the New England Revolution and he’s joining us here on Health Professional Radio to talk about his presentation at the American Academy of Orthopedic Surgeons meeting. Welcome to the program, doctor. Give us a bit of background about yourself in addition to being affiliated with the Patriots and the Revolution. I understand you’re affiliated with Mass General as well Massachusetts General. What’s your role there? Luke Oh: Yes, Neal. Thank you for your introduction and for inviting me into your program. I am an attending orthopedic surgeon at Massachusetts General Hospital. I’m an assistant professor of Orthopedic Surgery at Harvard Medical School and in addition to the Patriots and the Revolution I’m also involved at the Boston Red Sox organization and I’m also involved in training of fellows and residents and love my job that allows me to teach, to research and to take care of patients here in Boston the Greater Boston area. N: Would you say that you’re teaching lends a great deal of satisfaction getting that information that you’ve come to know and love so well out to those that are aspiring to be where you are? L: Absolutely. Whenever patients thank me for what I’ve been able to offer to them clinically I tell them that it’s really a tribute to my mentors who taught me everything that I know. They taught me the fundamentals on top of which I’ve been able to add to the knowledge based with my own observations in my clinical practice. For my mentors in order to thank them there’s really nothing that I can do. They have everything that they needed. I cannot add to it so the only thing I can do to thank them is to continue on the legacy and to pass it forward and that passing forward of the knowledge to both residents, fellows as well as patients and parents of young patients is what’s really an outstanding part of my job. N: Was it just your academic interest, your medical interest or was it something personal that led you to orthopedics in the first place? L: It’s a combination of things. As a young kid growing up, my father was a Korean immigrant auto mechanic and so I think it with a lot of tools in the garage with him and so when I went to medical school the fact that there are a lot of mechanical things involved in orthopedic surgery not only with the power tools but also understand that the biomechanics and the engineering principles behind it fascinated me and there was a certain level of comfort once I reached my orthopaedic rotation. I think that was a part of it as a recreational athlete at the high school level and at the varsity level in high school I had my own set of orthopedic injuries and really saw my orthopedic surgeon more frequently than I did my own general pediatrician and whenever I saw the orthopedist after an injury, they always made me feel better whether I had a dislocated shoulder or sprained my ankle badly. Whenever I went to general pediatrician as sweet as they were, they gave me shots and every time I went there it just hurt me more. So that’s my own experience and I just really enjoyed what the orthopedic surgeon did and in the back of my mind I had hoped that potentially one day that could be something I could do and so thankful and feel blessed that I’m able to do so now. N: What was the research and some of the topics that that you presented at the American Academy of Orthopedic Surgeons meeting last month? L: Yes. My practice is limited to shoulder, elbow and knee surgery and typically my patient population includes not only the professional athletes but youngsters, adolescents, I say the young and the young at heart. My practice takes care of patients from the age of 10 to 80. And in the elbow and the knee there’s a condition called “Osteochondritis Dissecans” and it’s an articular cartilage injury because of a weakness if you will in the underlying subchondral bone. So the bone underneath the cartilage gets damaged over time some by traumatic means some by repetitive injury means due to certain types of sports and in the United States young adolescent boys undergo this type of an injury process through baseball and young girls end up getting it from gymnastics and both have an overuse component to it not in the sense that they’re being thrown out the sports with no supervision but the fact that they are involved in a sport where you’re constantly doing repetitive activities using the same joint same mechanism of injury. And the particular study that was presented last month at our Academy meeting is for this condition osteochondritis dissecans in the elbow. And in the elbow on the outside of the elbow the lateral side there’s a bone called the capitellum and in terms of the lesions that occur here you can develop basically a pothole in the elbow where the piece of cartilage can break off over time. The determination for diagnosis as well as treatment is based on the stability of this lesion and we employ different imaging studies and commonly use an MRI to make a determination again not only for diagnosis but about the staging and the stability of it because that dictates the treatment that can be different. And so we wanted to see what the agreement was among various specialists when presented with MRIs of varying sizes and various stability levels of this particular clinical entity and it turns out that the inter observer agreement among different surgeons and different radiologists was rather poor. So we took MRI images of 20 patients with this capital osteochondritis dissecans which is abbreviated OCD. It was reviewed by 33 different specialists, 18 orthopedic surgeons who specialize in sports medicine and children elbow injuries and 15 musculoskeletal radiologists who specialized in reading bone and joint MRIs and the staging agreement as I mentioned was fair in some cases and poor in other cases and this suggests that we need to develop a better classification system because unless we have agreement it’s difficult to determine the best mode of treatment for these young athletes. N: So you’re saying that the same images are analyzed and diagnosed differently by so many interobservers, is that what you’re saying or is it a matter of the imaging that’s being used I mean if that’s the standard are we talking about improving imaging or improving analysis? L: Excellent line of questioning there, Neal. It’s really all of the above. This particular study highlighted the fact that we were using the same exact images and different people looking at the same images came to different conclusions. So that means that we need to improve on the diagnostic criteria of how we grade these lesions meaning everyone recognized that there was a lesion but there was a difference in the staging meaning how severe it is. So going forward not only do we need better classification systems but perhaps maybe the imaging study and modality itself need to be improved so that we can get a clearer picture in order to be able to offer an earlier clinical diagnosis so that we can treat this earlier as well. N: What types of I guess suggestions or maybe future research has been mentioned or maybe touched upon during this meeting to address that particular situation? L: Yes. We highlighted potentially improving on the type of imaging studies. Last year at the academy we presented some research data based on some advanced type of imaging beyond that MRI which quite significantly improved the detection rate as well as the size and location and the staging. But the issue is with that type of a newer imaging technology it’s a little too expensive right now to use on a daily basis and over time that price point may come down for us to be able to use it clinically. Second is that we need to come to an agreement on a better classification system or potentially a simplified classification system. So in our study when we repeated the study using a simple dichotomous classification system of is it just stable or unstable. Then there was greater interest or agreement but if there were 4 or 5 or 6 different levels of grading, there was poor agreement. And the other interesting aspect of the study is that based on the lesion size and the characteristics, when the specialist were asked about the most appropriate treatment there was also subtle disagreement about that as well. So these are among specialists in the shoulder and elbow and there is a disagreement there. So for general orthopedic surgeons it’s possible that with less clinical experience they may even be more discordance in terms of diagnosis and treatment modalities that are offered. N: Where can we go online and and learn some more about these developments as well as the annual meeting of the Society of Orthopedic Surgeons. L: Yes. That’s right. This is an annual meeting that happens with the AAOS American Academy of Orthopaedic Surgeons. I’m also part of a group called the AOSSM which is the American Orthopaedic Society for Sports Medicine. In Australia there would be the equivalent which is the APKASS which is the Asia-Pacific Knee, Arthroscopy and Sports Medicine Society and I’ve had the privilege of participating in those meetings in the past as well as a visiting lecturer. Online, there are quite a few resources including our own website which is http://www.sportssurgeryboston.com/ and there’s some information about our research as well as osteochondritis dissecans in general and there are many more other resources as well through our National Academy and the AOSSM as well. N: Thank you so much. It’s been a pleasure talking with you today, Dr. Oh and I’m hoping you’ll come back. L: Yes, Sir. Thank you very much for having me.